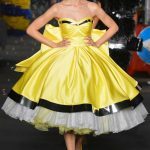 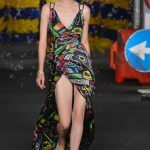 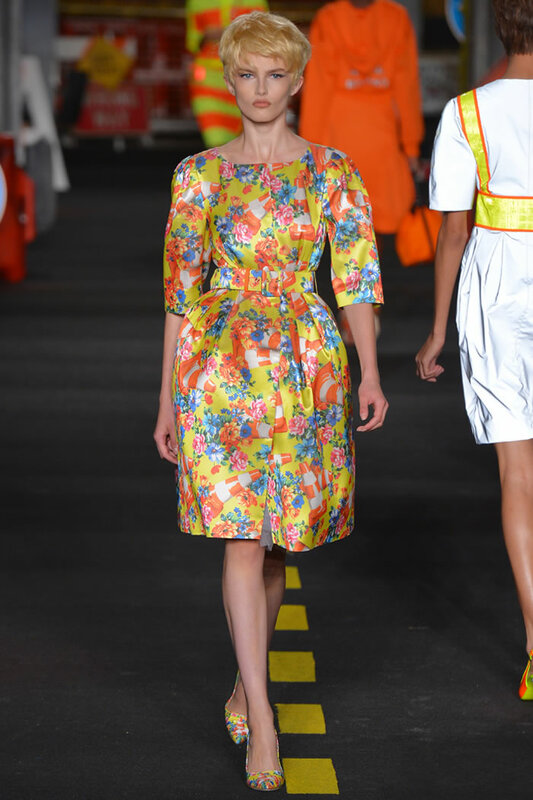 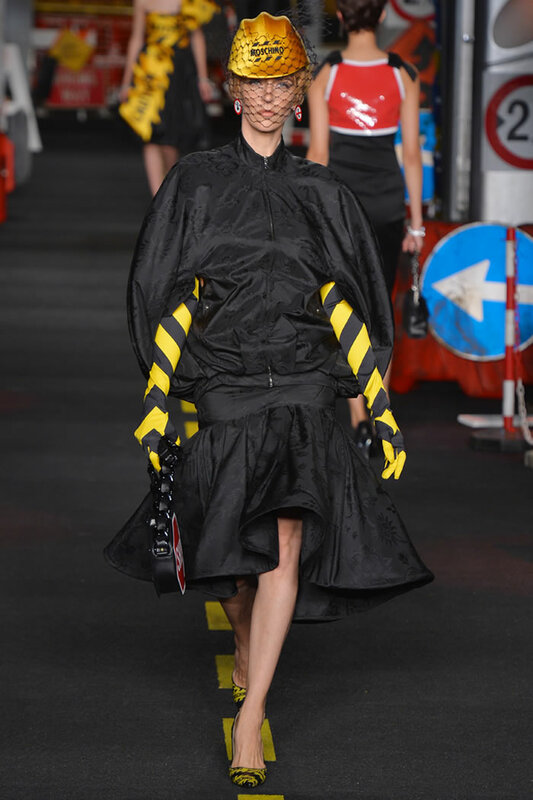 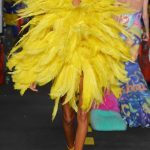 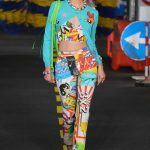 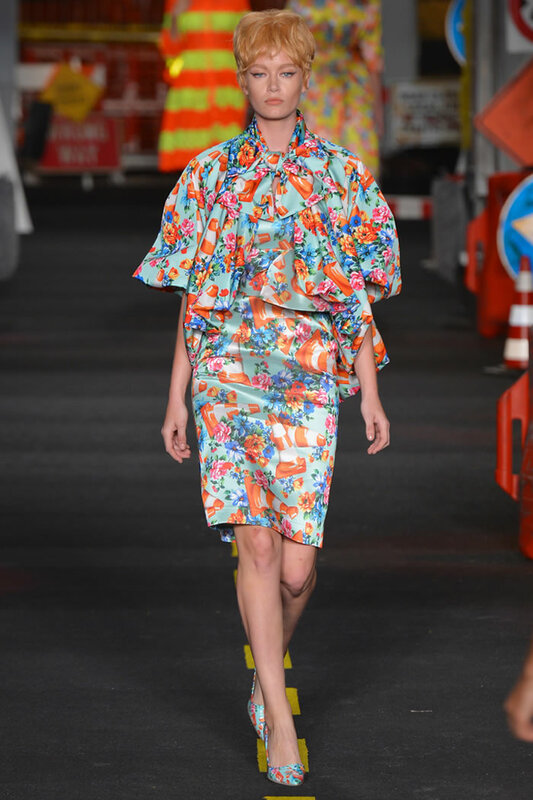 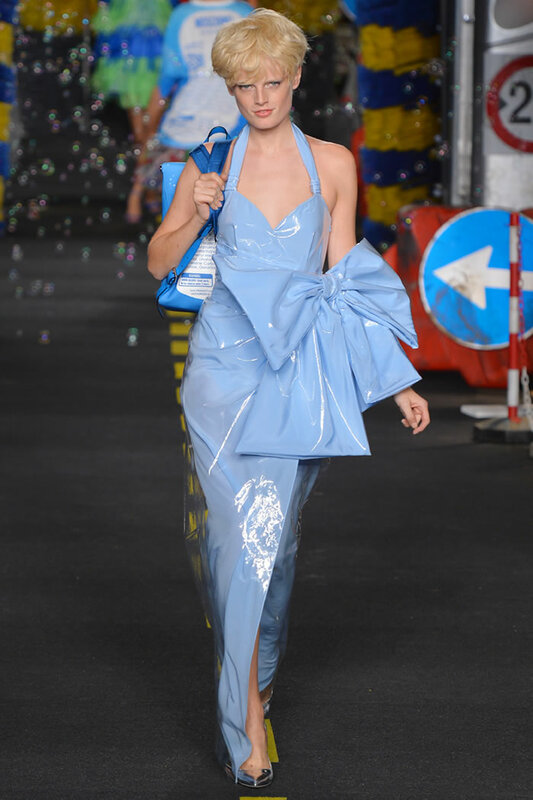 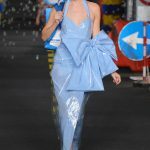 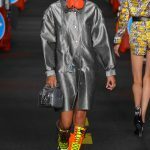 Entering a fashion show - especially one with a cult following, held at 8 p.m., which positions it as party time, in a pitch-black tent - is a hazard. 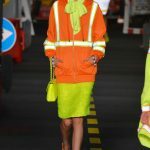 There are traffic jams, detours, reserved parking (“you’re in my seat”), roadwork on the runway and general obstacles in every direction. 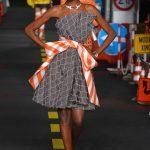 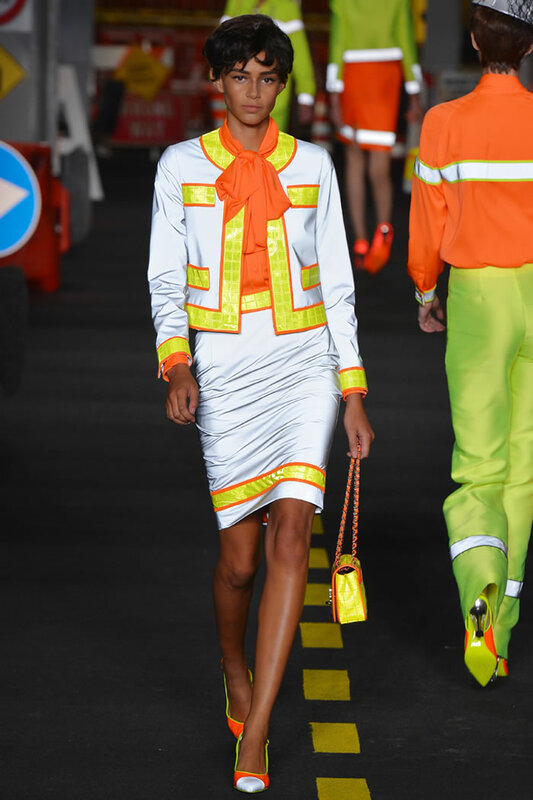 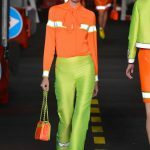 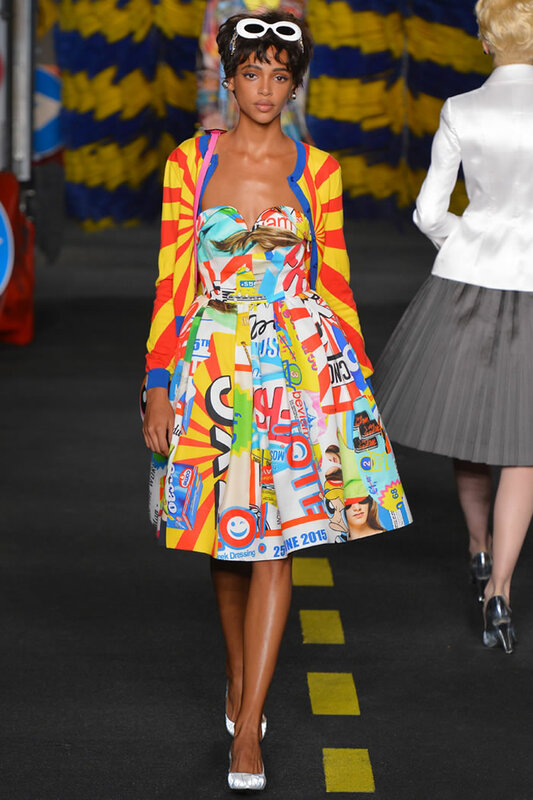 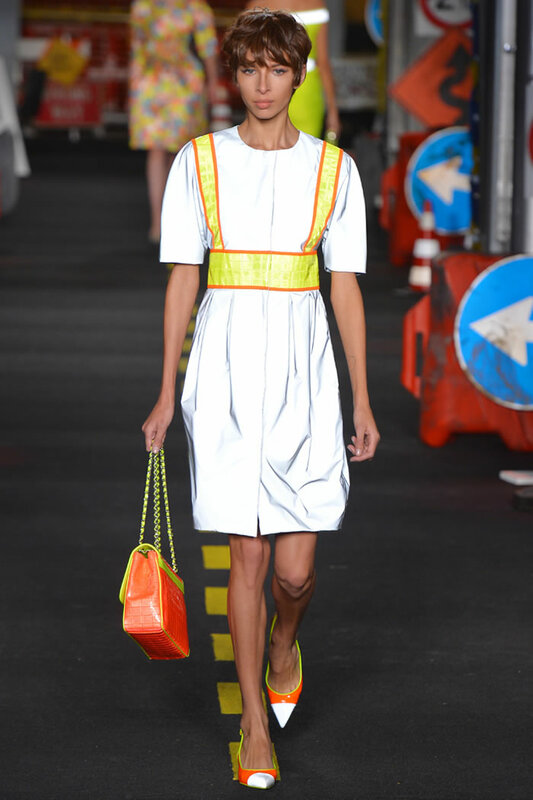 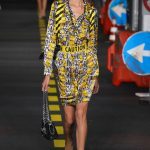 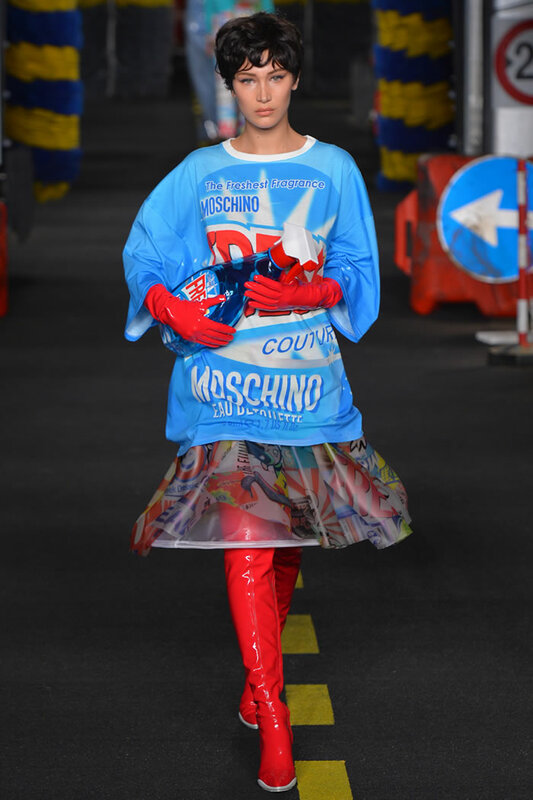 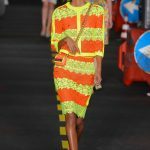 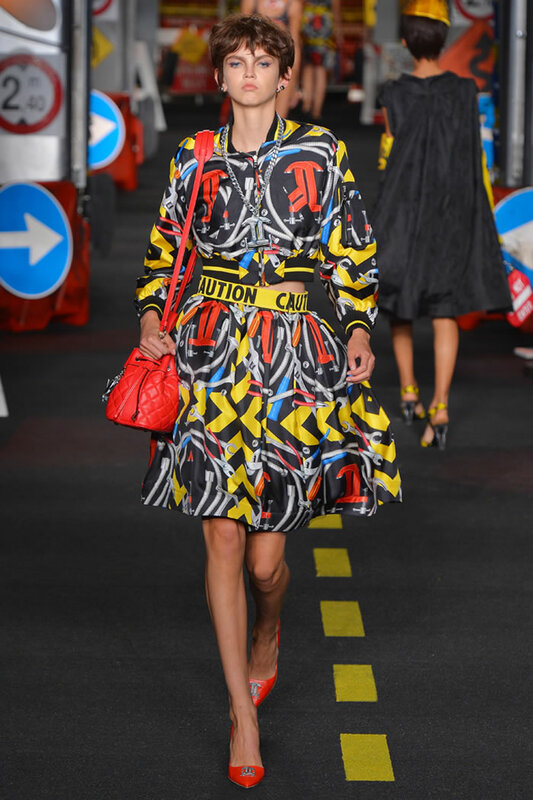 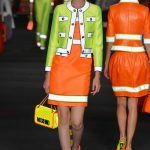 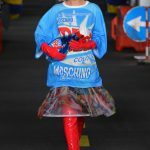 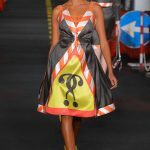 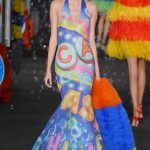 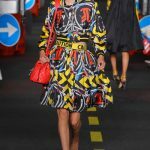 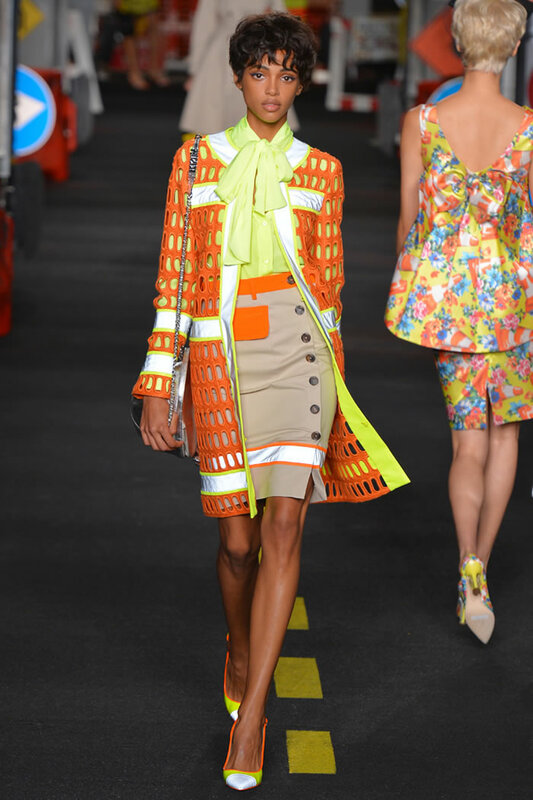 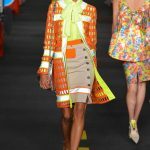 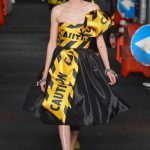 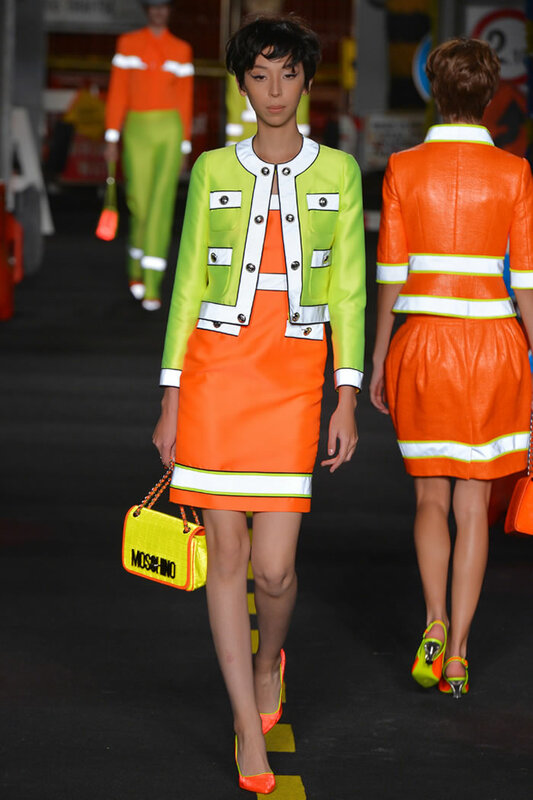 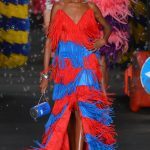 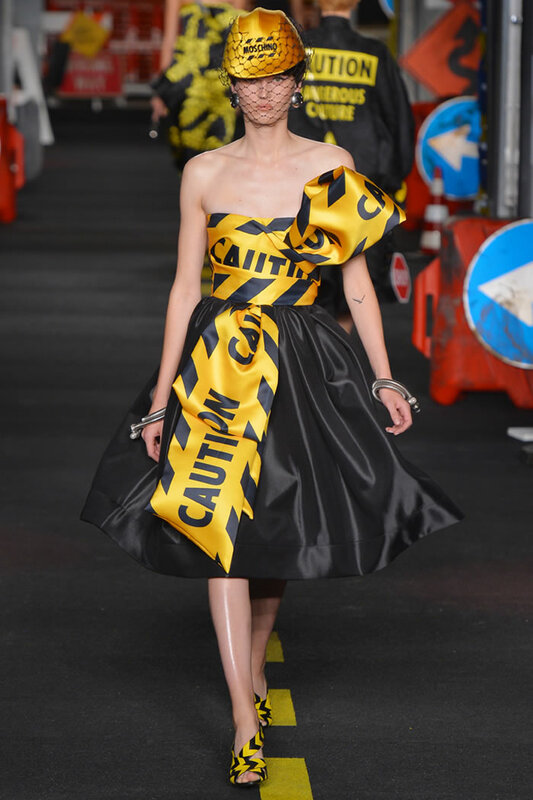 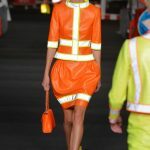 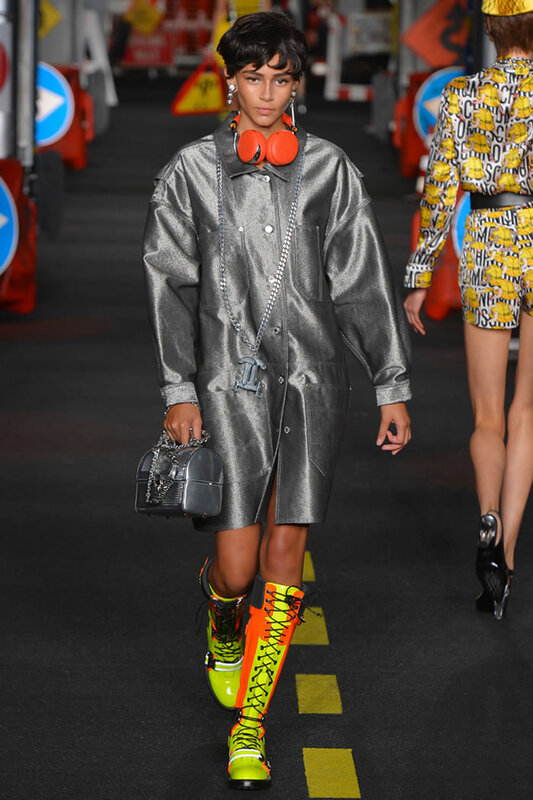 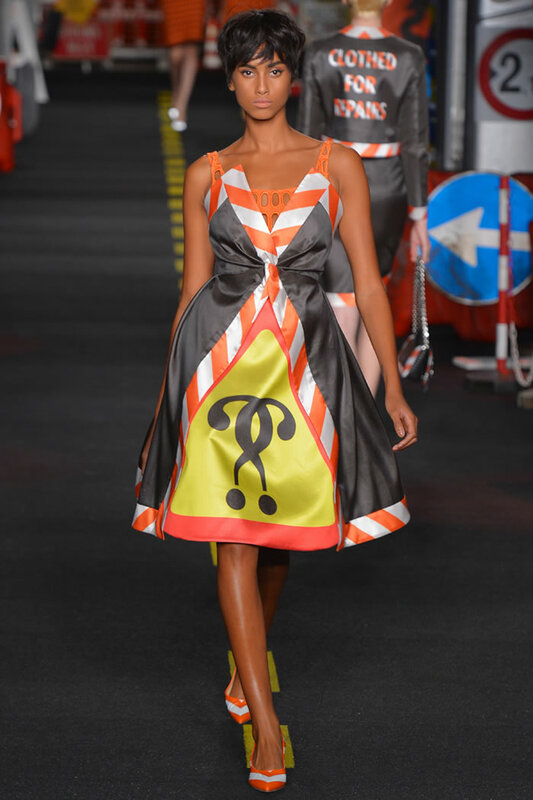 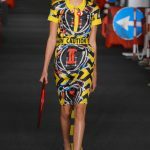 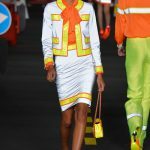 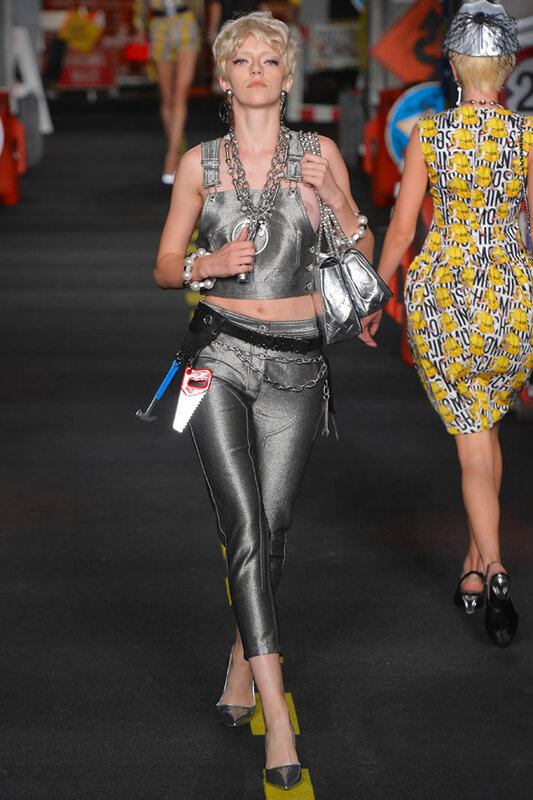 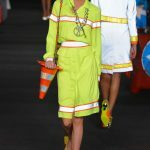 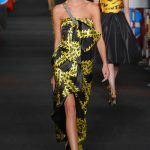 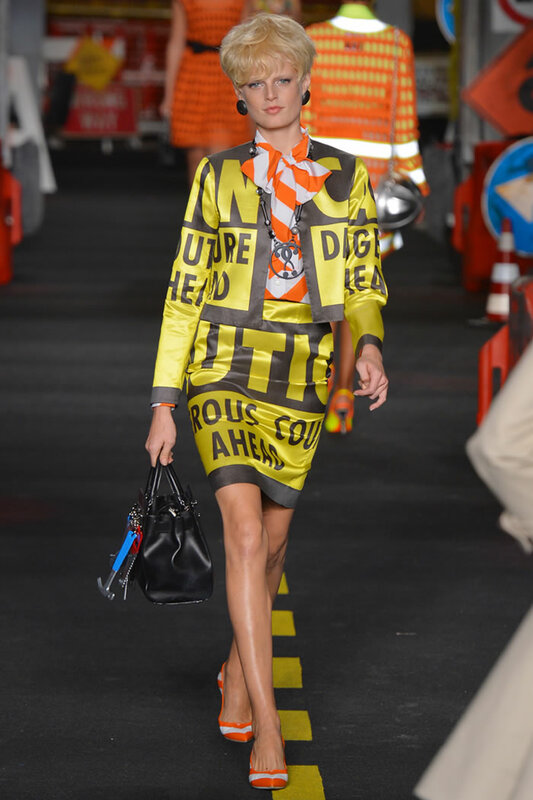 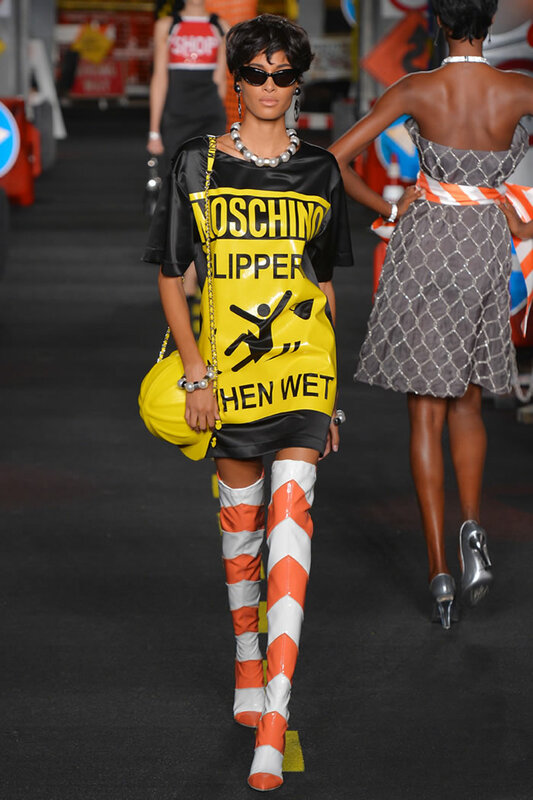 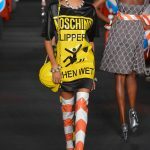 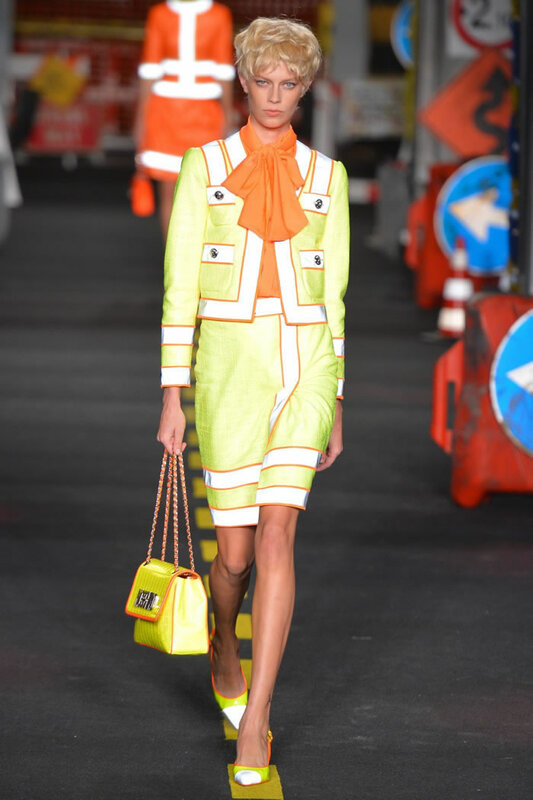 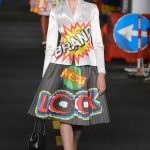 In the interest of the quick-burn irony that now defines Moschino under Jeremy Scott, he made the veritable construction zone of the runway into a literal set, strewing it with an orange-and-white mess of traffic cones, barriers and signs warning of “Dangerous Couture Ahead.” So many people tripped over the heavy-duty cable protectors on the floor on the way to their seats, it was difficult to tell if it was part of the set or a legitimate safety measure. 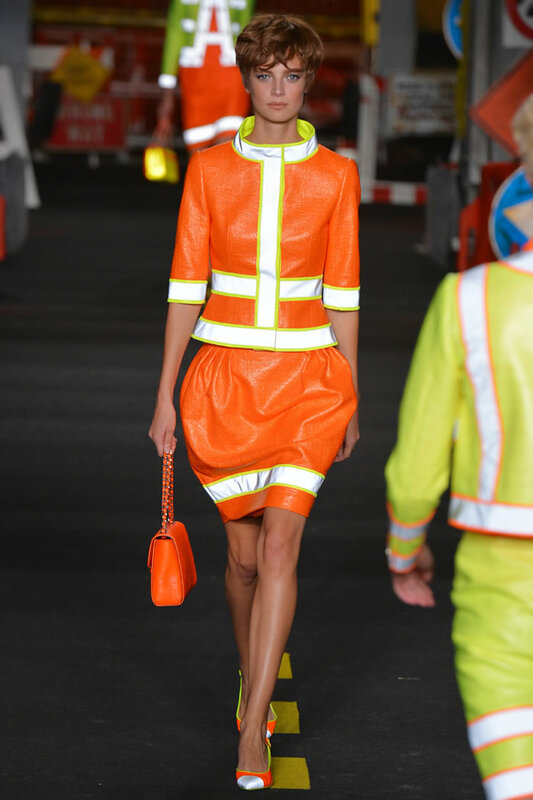 Scott’s runway discourages deep thoughts. 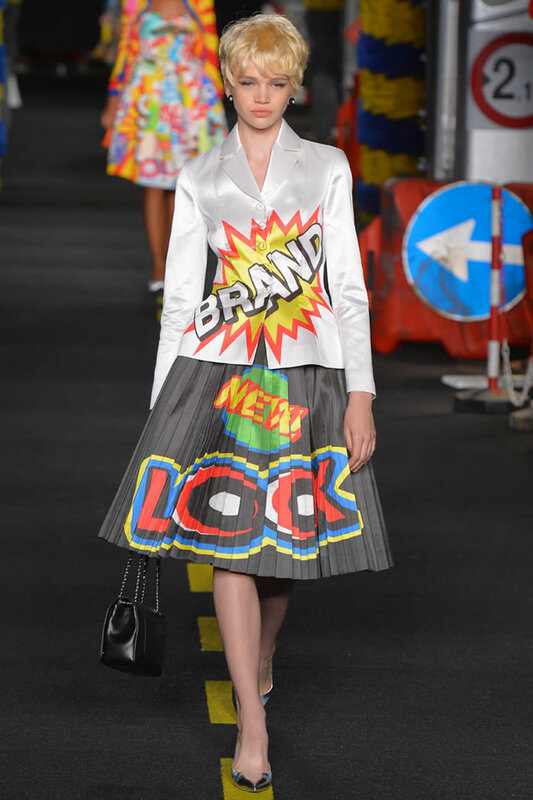 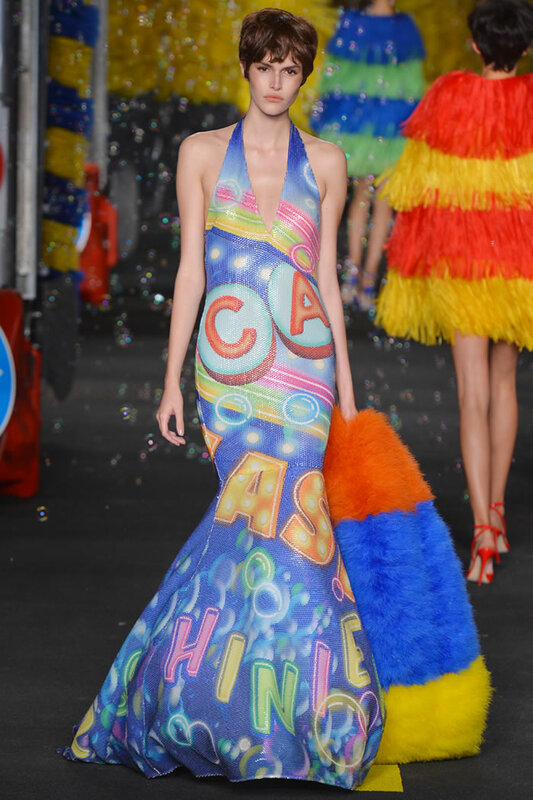 But just as one began to wonder if the jokes were wearing thin, three faux car washes, complete with fluffy rotating brushes and bubble machines, fired up on the runway, through which processed the first finale look: a jacket and skirt bearing the words “Brand,” “New” and “Look” - emphasis on “brand,” a term that defines a lot about the state of affairs at Moschino and fashion at large. 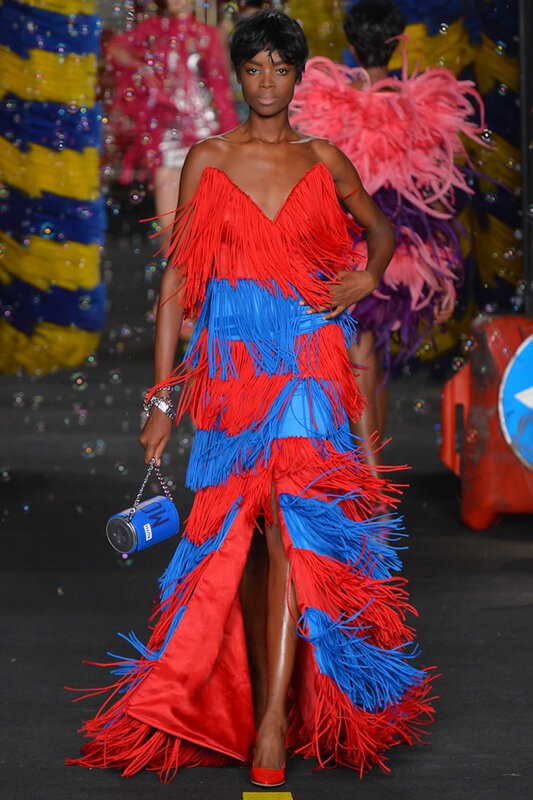 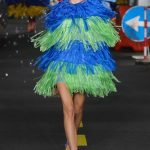 Lest things get too deep, what followed was a rainbow of the dress equivalents of feather dusters and fringed car wash brushes. 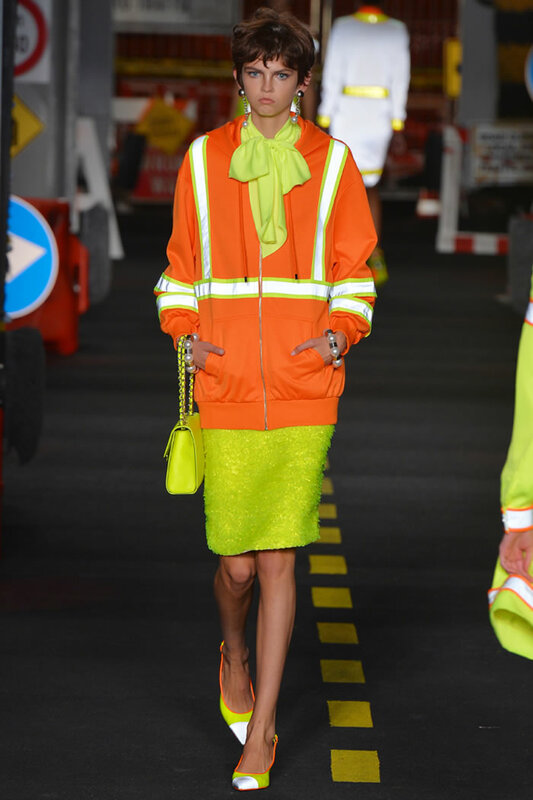 The sight of girls dressed to buff a car scrubbed any reflective inclinations right out of your head.